I learned something new today and I am excited to share it with you. 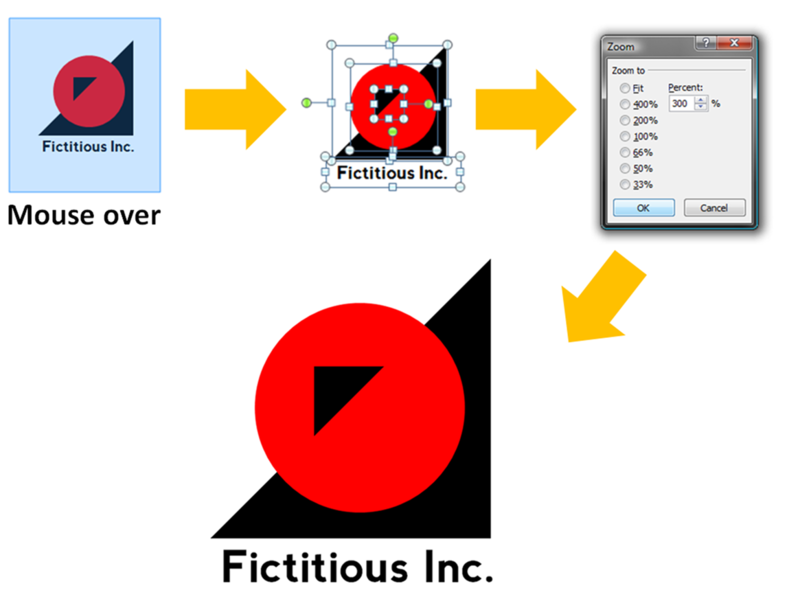 While I was making a logo in PowerPoint (using all kind of shapes and text), I wanted to zoom in and work with the various elements of the logo (shapes and text) more closely. 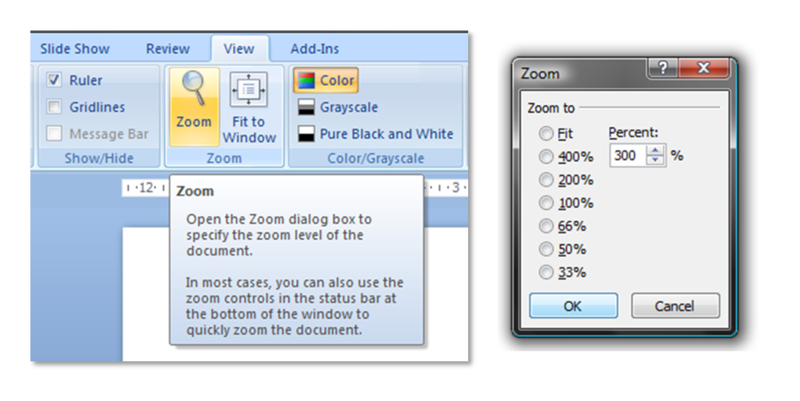 To zoom in there is a simple option; under view tab -> zoom (in PowerPoint 2007). From the options, we need to choose. Say we choose 200% or 300%. That's it. But what happens is that the center of the slide gets zoomed in. So if my logo is on the extreme right side, I need to scroll to go there. This is a bit painful and can be easily avoided. Just take your mouse over the logo and select all the shapes and text. 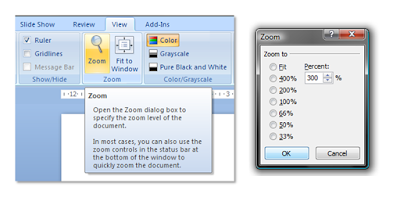 Then go to zoom and choose 300%. Voila! Only the logo gets zoomed in. I found this quite useful. Hope you do too.